The site uses a clever widget-y thing that some of you will recognize from Modernista!’s agency site or the Skittles campaign. Once you visit the campaign, you are taken to YouTube, Flickr, Facebook and co with the talking beard guiding you along the way. 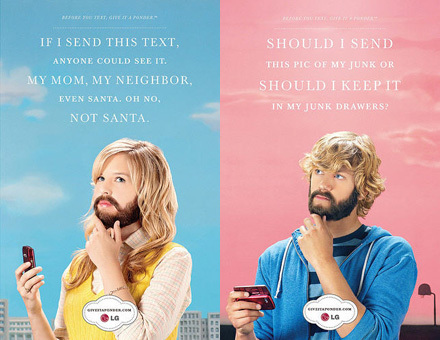 What is also impressive is who did it: The campaign is from Y&R New York. Why is this special? Well, this is a solid integrated campaign being done by what many digerati would call an old-school agency. And it looks pretty fresh to me. It is significant because of the degree of digital "sophisitication" required to weave the pieces of the story together to engage a young, hip, and often cynical group of people. The technology is slick, and the use of James Lipton is one of the few celebrity "endoresements" I've liked in a long time. Sure, some will argue that Modernista! and others pioneered the thinking behind using a widget in this way, but doesn't most creativity begin with some form of theft? Of as Faris Yakob likes to say, "Talent imitates, genius steals". Creativity Online has more details, in case you're interested. In case you haven't seen it before, here's one of the SNL spoofs. In this one, James Lipton (Will Ferrel) interviews Drew Barrymore (Kate Hudson). So, give it a ponder.